If your construction scale is small and you don’t wan to spend too much in buying concrete mixer. 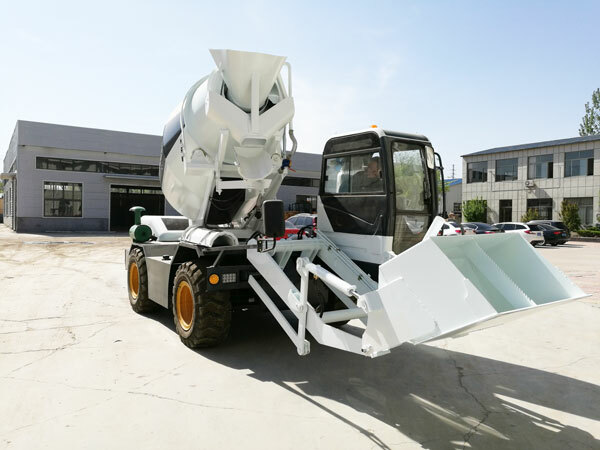 What kind of concrete mixer will be your choice? 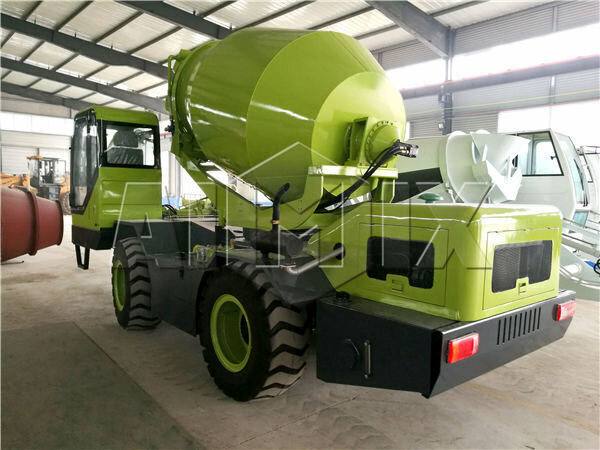 I think you may think about small concrete mixer. 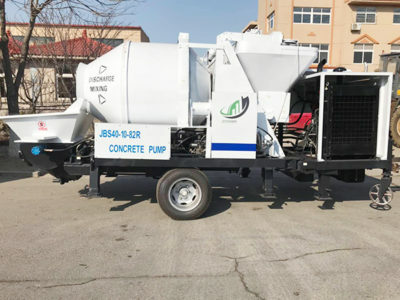 Small concrete mixer machine will bring you great benefits. You will be glad to purchase it when you know more about it. 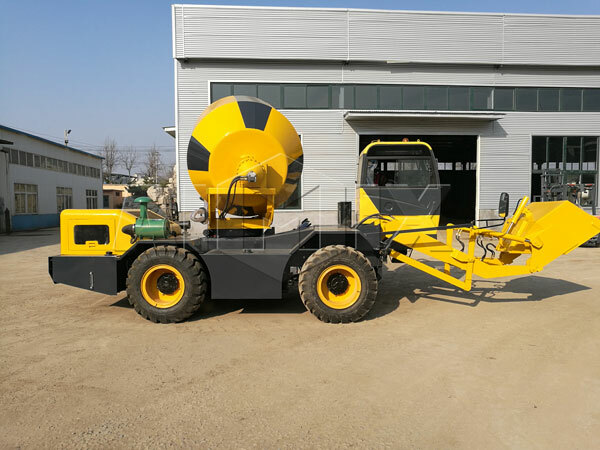 It is easy to find small concrete mixers for sale. 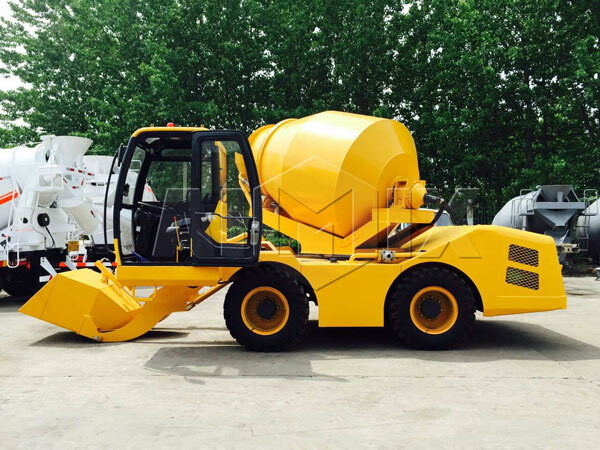 And I want to introduce a hot type small concrete mixer. Although it has small appearance but can make great difference in construction industry. 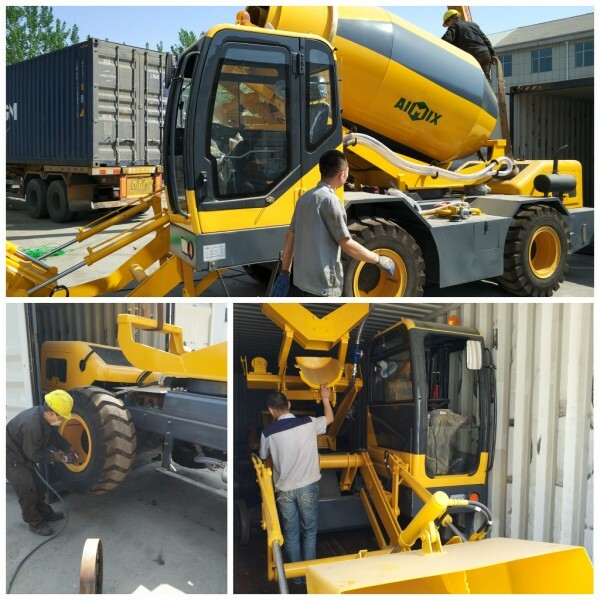 Self loading concrete mixer is a new type of engineering equipment, which is specially designed according to machinery requirements and can be widely used in concrete construction fields. Self loading transit mixer fixes the transportation problem that the commercial concrete transport from the preparation site to the construction spot, thus it becomes the ideal transportation tool for commercial concrete. What’s more, the self loading cement mixer has integrated batching, weighing, feeding, mixing and delivering together. It is mobile to produce good quality concrete. 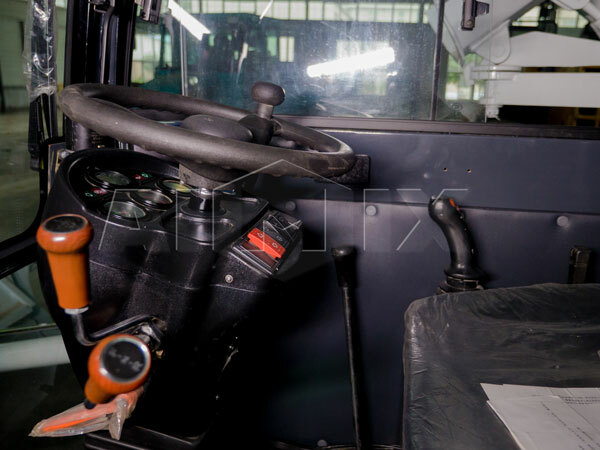 Besides, it has adopted centralized lubrication system, which can ensure systems to be stable and reduce failure rates. And we can supply different kinds of types such as 1.2cub, 2.0 cub, 3.5 cub and 4 cub. Since launched on the market successfully, it has won customers’ unanimous praise with its unique function. We have a lot of successful cases to many countries and our clients all think highly of our small concrete mixers. If you want to know more, you can delivery your inquiry on the website. Small batch concrete mixer is a machine which is used to mix cement, sand, aggregate and water to make concrete. Small cement mixer is composed of mixing drum,feeding and discharging system, water supply system, prime motor, transmission mechanism, frame, supporting device, etc. Concrete mixer small machine can load raw material automatically which saves production time, human labor and cost. 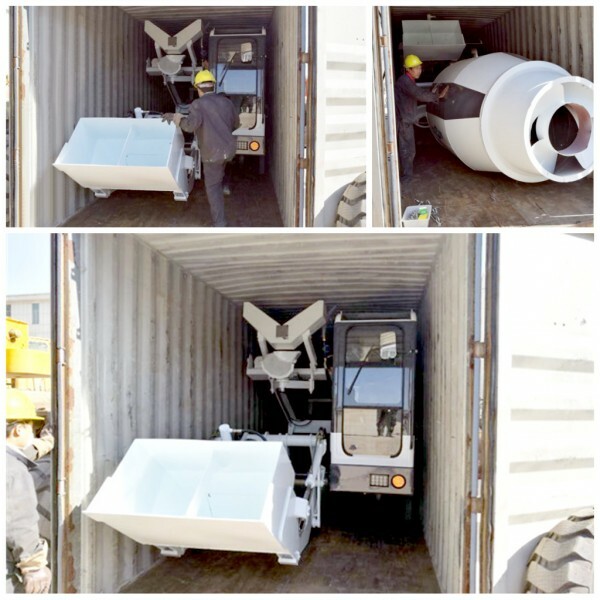 With small and compact structure, small batch concrete mixers occupy small space and are easy for moving. Small concrete mixers are popular in general construction sites, bridges, roads and small concrete plants. 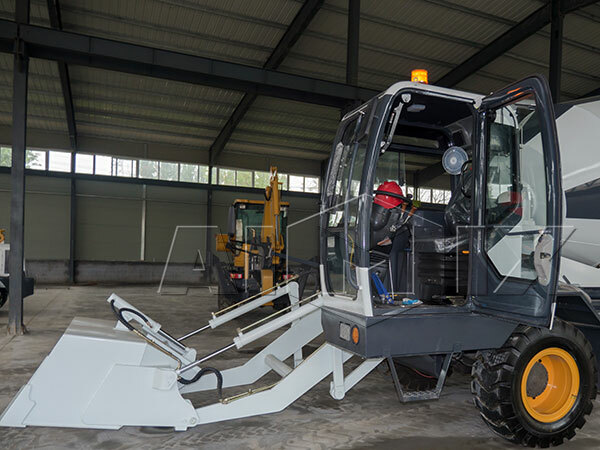 Small mixer and mini concrete mixer are a good choice for small-scale construction. As one of the mature small concrete mixer manufacturers, our company has many modes of small concrete mixer for sale. Among them, JDC series concrete mixers are a kind of single shaft mixer. You will get the best quality for the cheapest price. 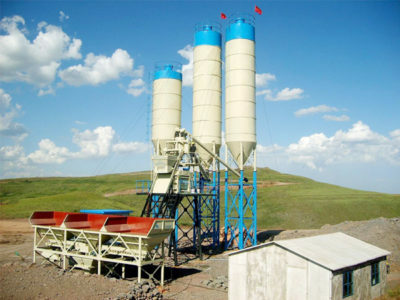 Small concrete mixer price of our company is reasonable. You don’t need to worry about the problems after purchasing. We will provide the perfect after-sales service for our small cement mixers for sale. Meanwhile, it is important that you have the proper training for using small cement mixers. If you work with a small concrete batch mixer, training is important for you. You don’t want to damage your benefits because of misusing it or have it cause you any issues. You also want to be safe when you use it as it is a machine and you need to be careful. When you work for a company they should provide this training for you. If they don’t for some reason, you should bring it up to them. It is nesessary so that you can know what you are doing when you are at work all day. They should have someone train you on how to use the small batch concrete mixer or a video series. There should also be some types of book you can reference. You will need them as you start working. If you work for yourself you will need to make sure you are trained on what you need to know. You can get some training videos or some books on the subject. If nothing else, you should go through the instruction book. When you have a new machine you have to spend some time learning how it works. Even if it is similar to another machine it will be a little different. Safety is always really important as well. Ignoring safety in order to get something done quickly is not a good idea. You should not start working on the machine until you feel you know how it works. Even if this take a few days or even weeks to figure out. You wouldn’t want someone without experience to attempt to try something new like a concrete mixer without at least having a general idea of how it works. We also have many models of electric concrete mixer which is safe. You can consider buy one according to your requirement. If you are in charge of a company that uses them, make sure you schedule a training for any of your employees that will be working with it. Make sure they understand how it works and how to use it safely. Once you have done that you can free them to use it. Make sure you have any safety equipment available to them. That way everything will be ready to go and you won’t have to worry about forgetting anything. 1. It is a good choice for small-scale construction. 2. 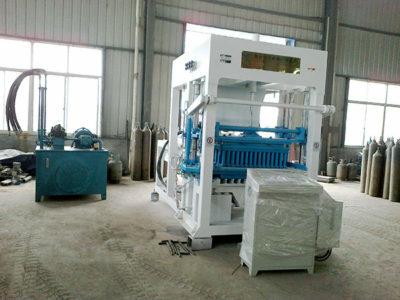 It can load raw material automatically which saves production time, human labor and cost. 3. With small and compact structure, it occupy small space and is easy for moving. 4. Easy operation, low energy consumption, and long service life.